Exit David Letterman; Enter Colbert: How Much Does Playing a Character Factor into Late-Night TV? 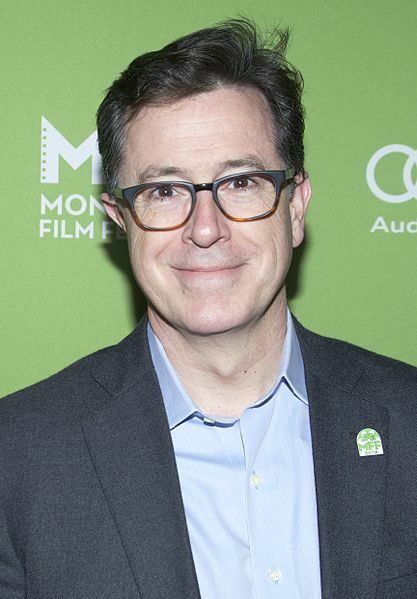 When Stephen Colbert left “The Colbert Report” last fall, I pondered just how challenging it must have been for him to balance both a satirical politically conservative character and his true self. Personas on TV stick to the public consciousness as strongly as a magnetic force. The more compelling the persona is, the more people believe you’re really that character. You can see evidence of that in the history of TV from Lucille Ball, to the cast of “All in the Family”, on up to the era where characters didn’t just reside in sitcoms and into reality programming. In the world of late-night TV, you could argue manufactured personas existed along with all the prime-time programming airing three hours earlier. The personas of talk show hosts Steve Allen, Jack Paar, and Johnny Carson were sometimes different than how they were in their private lives. While all talk show hosts might have had to invent a persona in order to be entertaining, that sense of playing a character seems to have become more pronounced in the David Letterman era. Now that Letterman is officially retired from late-night TV, and all the analyses of his positive contributions in entertainment have been said, nobody ever pondered that he and Stephen Colbert might have been linked closer than we’ve realized. Letterman’s subversive nature helped turn late-night TV on its ear 33 years ago with assumptions he was being his true self. The mystery is whether Letterman was really his own self or just playing the dumb guy taking a wrecking ball to late-night TV conventions. Only on very rare occasions did Letterman break out of his role on-air and admit he wasn’t really that dumb. We didn’t really need to be told, because we all knew he knew exactly what he was doing and how to do it well. Plus, we eventually discovered a much more serious and intellectual man behind the veneer when he did his iconic shows post-9/11. While most talk show hosts would have done the same, it was all the more incredible to see one of the most sardonic hosts in history become one of the most articulate and thoughtful TV hosts after a national tragedy. For many, that was the real Letterman before everything went back to normal again. In the world of Stephen Colbert, you have to wonder how he would have handled 9/11 had “The Colbert Report” been around in those days. We all know Colbert mastered the art of a complete persona mostly opposite of his own. It was also the worst possible comedic pit to be in due to setting the persona so deep that we’re still questioning how he’ll get out of it when taking over Letterman’s chair. Most likely, he can’t entirely if you go by the idea that you need to create a familiar persona in order to make it in the late-night TV arena. Most viewers tuning in to Colbert’s first “Late Show” will expect him to be the same character he was on “The Colbert Report” in order to gain any immediate comedic momentum. Maybe he’ll have to form a new character if his real self can’t translate into a satirical mold. In that scenario, it may mean a repeat of the usual late-night TV path of starting slow and building strength over a period of months or years. Also, if Colbert can’t be himself on late-night TV, what does it tell us about other late-night TV hosts that we think we know? Consider the public once thought they knew Johnny Carson when he did “The Tonight Show”, even though we found out later he wasn’t anywhere near his public persona when behind closed doors. As far as we know, Conan O’Brien, Jimmy Kimmel, Seth Meyers, James Corden, and Jimmy Fallon are nothing like we know them once the camera goes off. With so many comedians feeling like they have to be “on” whenever seen in public, you can see why they have to be something other than they really are. It’s a strange dichotomy and reality that many comedians are dull and nearly lifeless when not on a stage. Then they turn on immediately when in front of an audience. One thing we do know: Colbert is one hell of a good person in his private life based on what we’ve heard in the press. This alone seems to indicate that his real self is probably better than his previous character or any character he decides to portray. This alone improves upon what we found out about Carson and Letterman in their private lives. Perhaps bitter, sardonic humor in late-night TV is going out with the amazing legacy of Letterman. Should the real Colbert present himself, we may discover the perfect balance of edgy hilarity with compassion and warmth for every guest entering this new late-night world.